Russia's Arty releases the extended preview of his single, ‘Up All Night’ featuring Angel Taylor, due out on Tuesday 1 July via Insomniac/Interscope Records. After his set at EDC Las Vegas over the weekend, Arty returns to unveil more of his single that has been generating decent hype ever since it was announced. With the release of ‘Up All Night’ and his debut album in his sights, Arty’s gearing up for a massive summer. He joined forces with vocalist, Angel Taylor, for the track and teased it at EDC Las Vegas during the fireworks shows every night. 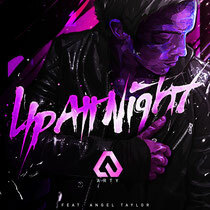 This song is the first single off of his full-length debut album, and serving as the inaugural release on Insomniac Records, the track showcases new dimensions in progressive house, while Angel's vocals accent the track to add to its appeal. Check it out below.